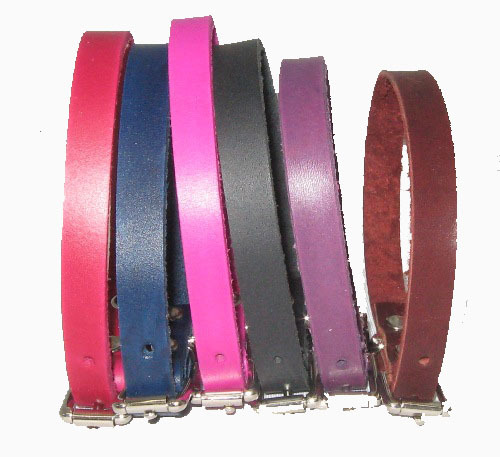 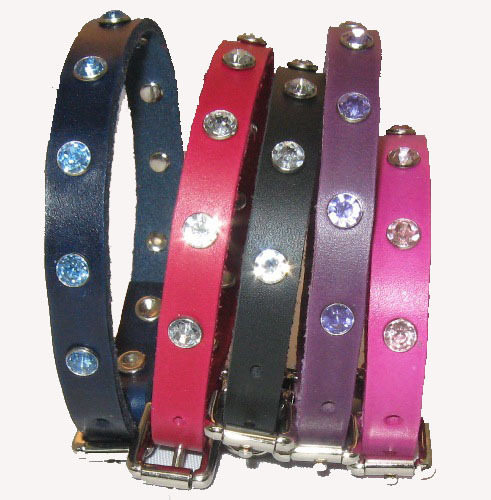 1/2" wide leather in black, brown, pink, purple, red, or navy blue. 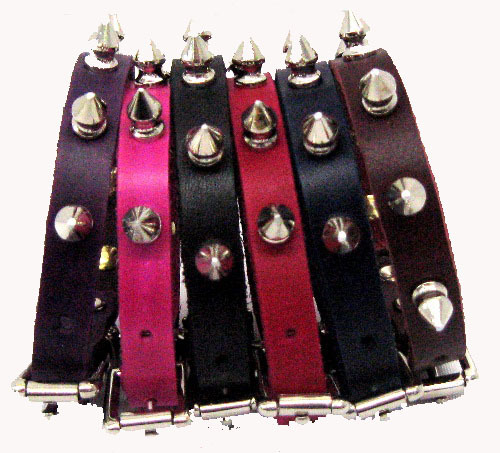 Hand-dyed and hand-crafted high-quality leather and hardware. 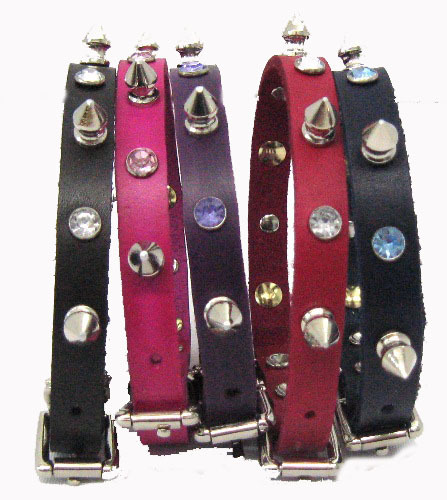 This size is great for extra small dogs up to 20 lbs.